Aloha friends, I trust you are doing well if you’re reading this. Savor that! It’s now been a full week after my whole brain radiation treatments (15 of them) and my body is trying to recover from this craziness I’m allowing inside of it. The biggest issues with this treatment have thankfully been not so bad. I wouldn’t say manageable since I was throwing up my meds a lot but for some reason I just keep thinking this could be SO much worse. My skin is the most mad at me. It’s been burned from the inside-out and with the compounding effects of the whole brain radiation my little bumps are starting to swell and cause all sorts of things. Nothing too crazy just dizzy where the only thing you can do is throw up. This usually only happens in the mornings after sleeping and have no meds in my system. Once I can get some oats w/almond butter down slowly with a hot peppermint tea I can usually start the day. Since I tried that depo-provera birth control shot in the U.K when I was in my 20’s I’ve had trouble with acne. It started extremely badly and lasted for a year before finally giving in to the accutane my Dr prescribed. It’s left me with a bit of scarring and constant flare ups but these burns almost feel like they are healing it. The hormone therapy? Is kind of ruining all of that but I think these things are really helping to keep all that at bay. Remember. We don’t want to be sick. We want to be healthy. 1. thank you earth for this abundance. Aloe plant We are so lucky to live Hawaii. Hopefully anyone reading this can just go outside and cut off a piece of the plant. Bring the arm inside and keep in your fridge. When you need to use it slice open the middle and edges to make a cute little aloe wash-cloth and just rub that ish all over your head and ears. Be careful to wash your hands after and don’t get any in your mouth it tastes like torture. You CAN also eat it by scooping the gel into your morning smoothie. I can’t stand the taste but it works wonders to save the skin. A good friend brought this to me last year and I’ve been renewing the supply ever since. It’s basically just medical grade lanolin but really sticky so works great to coat your ears (front and back) in it daily. My ears were the first to go and as painful and burning as it is keeping them as moist (MOIST!) as possible at all times keeps the cracked skin and bleeding down. Inside the ears remember DO NOTHING! Don’t even try to use a q-tip or your finger. I itch them by shaking the front of the ear opening below my temples as fast as I can to try to “vibrate” the itch out. It’s ok. This is hopefully a given. Just get one of those Costco organic coconut oil jars, transfer it to a mason jar, and keep that on you at all times. Put it in a cute little travel face wash bottle too. Bathe your head and back of neck in it just all the time. You will smell great, your remaining hair will turn in to a cute cloud-puff. Just rub that all over your head all day every day. Listen to me first – I have not been paid for any endorsements and will never take a paid endorsement. Unless it’s something I have used and works amazing, of course. That’s not happening in this post though and I do NOT recommend getting a subscription to Hum at this time. They make it too confusing and make you get more than one type of vitamin to get the monthly subscription and it’s really difficult to cancel it like you have to call some phone number only during working hours. NOT conducive to living on Oahu. You can just get a box at Sephora here and see if it works for you. If it does and you think a subscription is worth it then yes by all means. I tried this last year and can’t live without it. Whatever those three little pills are in that Runway Ready pack have made a huge difference on my skin and acne. I can tell when I haven’t taken it regularly (when I ran out and was like screw a subscription lol) but have been able to keep a good supply of these vitamins to take when the skin is just so pissed at me. local organic skin care line on the north shore. she go. If I’m ever downtown Nuuanu I can’t not stop in Owens & Company. It smells so good in there! They have the greatest little things of all types but my favorite is for getting good natural home frangances, blankets and gifts. I asked Grace the supermodel that works there (my fellow cancer survivor sister) what her favorite lip balm they carry and she told me this lip balm that’s made locally by an organic skincare company. I’ve been using it for this whole recovery and it’s helping. My lips are already trying to sink inside my chin in a bed of lines, but they are not as dry and flaking as they were. Now I can wear lip stains 🙂 This is a local company which I love. 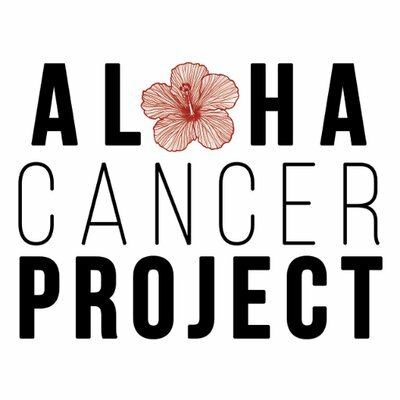 Anything that is local and works is the holy grail of cancer maintenance in Hawaii as far as I’m concerned. Idk how I met my Los Angeles earth angel Michelle Grondine the first time, but I definitely remember a marathon FT with her and her animals last year. She is notorious for sending me THE coolest things which this year helped me more than ever. It’s been about a week of using this and I have to say YES holy crap I’m a fan. Their balm dotcom is PERFECT to squish all over my dried rotted out ears especially the back. It also helps with my forehead area that is just destroyed from the radiation burns. The cleanser is so light and moisturizing and the red lip stain doesn’t dry out my lips I LOOK OK IN THE RED LIPSTICK! I’ve been using both masks once a day as well and really think my skin could be a lot worse. I will never go another day without properly caring for this large organ and thank you to Michelle Grenadine for sending me this epic gift package and Glossier for making natural skin care products that actually work. I think that’s just about it. Please share this with anyone you know that is starting whole brain radiation treatment. Please also remind them that just because their breast cancer spread to their brain doesn’t mean they are a goner just yet! I think? I hope!